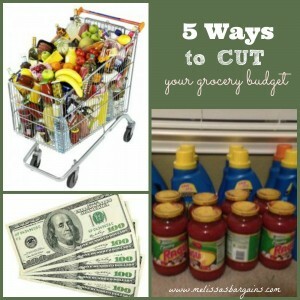 Tuesday Tips: Five ways to cut your grocery budget! Every week, I get e-mails from people who need to cut their grocery budget – FAST! I wish I had a super quick fix, but I don’t. Here are some things that have worked for me and I’m hoping they will work for you, too! 2. Check out the weekly ads and look for sales on items that you use regularly that have a long shelf life so that you can store them. The idea is that you don’t want to pay full price for your favorite non-perishable items EVER! When you do this, you may be spending a bit more money out of pocket initially, but this also means that you are not paying full price for these items later. For example, a “stock up” price on canned vegetables for me is $.25-$.30 each. The last time they were on sale for this price, I bought 40 cans. I spent $12, but the regular retail price would have been $26.40. I won’t need to buy them again until there’s another big sale. 3. Start planning a weekly menu! Coupons have really helped us cut our budget, but I think that meal planning has been just as helpful. Look at what you have “on hand” around your house and look at what’s on sale in the weekly ads and plan your menu around that. I always make our meal plan for the week before I do my big shopping trip for the week. It’s amazing how much money you can save when you have a plan for dinner, so you’re not eating out and when you’re actually using the food you have. 4. Buy fruits and vegetables “in season.” There typically aren’t many coupons for fresh fruits and vegetables. To help offset the cost of these items, I stock up on canned and frozen fruits and vegetables when there are great sales. I also only buy what’s on sale for the week (which is usually what’s in season). 5. Look for catalina offers to help pay for meat, dairy, and other items. On Your Next Purchase (OYNP) catalinas are typically store-specific coupons that can be used like cash toward your next purchase of any items (sometimes, there are exclusions). Even though they sometimes say “manufacturer’s coupon” at the top, they typically cannot be used at other stores (Note how the two coupon policies referenced above state that you can only use catalina coupons from other stores if they are for a specific product). The Register Rewards you receive when you purchase specific qualifying items at Walgreens are typically OYNP catalinas. Learn more about catalinas here–> What is a catalina coupon? 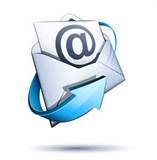 I post a lot of online deals and offers and many of those deals require an e-mail address. I have had a few people express concerns about possible hacking, and so I wanted to address that. 1. I check out every offer I post PERSONALLY before sharing! My mom, siblings, and other personal friends and family members read this site. I wouldn’t want to send any of them to a site that was not legitimate, and I don’t want to send any of you to those sites, either. I honestly do check out every offer before sharing and that’s also why I’m so diligent about links posted on my pages by others. I don’t want people to get scammed! 2. Having an e-mail account just for “offers” is not a bad idea. When I started doing surveys online a few years ago, my inbox was quickly over-run by e-mails and it was hard to keep up with e-mails from my friends and family members as a result. I now have a separate e-mail account that I have set up just for special offers. I personally recommend a Gmail account. 5. TRUST YOUR INSTINCTS! If you’re not feeling good about an online number, check it out first. A little Googling goes a LONG way! 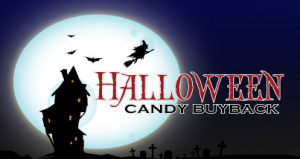 Six Ways to Use Leftover Halloween Candy! I think my kids ended up with more Halloween candy this year than they have any other year and I’m ready to get rid of it already! No matter where we hide it, my five year old seems to be able to find it, and the results are not pretty! Plus, I don’t need the temptation, either! Donate It: Take your leftover candy to your local fire station or police station as a “thank you” to those who keep us safe every day! I’m sure they’ll appreciate it. 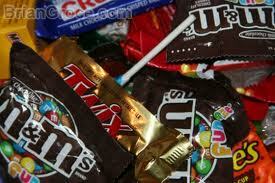 Take it To Work: If you work, take your leftover candy to work and leave it in the break room. I bet it won’t last long! Bake With It! 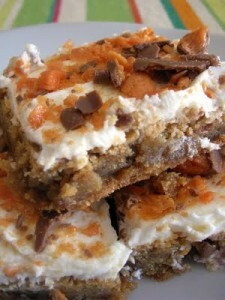 There are lots of great recipes that will help you use up your leftover Halloween candy. These are two recipes that I pinned on Pinterest sound AMAZING! Save it for Goodie Bags: Do you have a birthday party or other celebration coming up in the next few weeks? 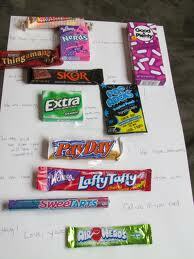 Save your leftover Halloween candy and use it to fill goodie bags! What do you do with your leftover Halloween candy? I’d love to hear your ideas! Did you find these ideas helpful? Don’t forget to pin this post if you did! Coupon Trips Gone Wrong: What to do! Yesterday I posted about Why TLC’s Extreme Couponing is Ruining it for Couponers. One of the things I have noticed since Extreme Couponing began airing is that it is becoming harder and harder to actually USE coupons! Even after using coupons for years, and feeling pretty comfortable with store coupon policies, I still have those moments where coupon trips go wrong. If you do a search online for individual stores and “coupon policies” you will find letters that others have received from customer service regarding store coupon policies. Sometimes it’s helpful to print these letters to share with your cashiers, especially if you have had difficulties redeeming coupons at that store in the past. When in doubt, it doesn’t hurt to e-mail customer service yourself to inquire about their coupon policies so that you have your own hard copy. Keep it in your coupon binder if you have one! When grocery stores offer special promotions, there are typically special tags on participating items. Also read the fine print in the ad because sometimes only specific sizes, scents, flavors, etc. are part of the promotion. Buying one “wrong” item will throw everything off. Even though you may be embarrassed or incredibly frustrated, don’t lose your cool. It will only make the situation worse. Instead, if things get too heated or the cashier refuses to work with you, don’t be afraid to ask to speak with a manager. If your deal doesn’t work out as planned, don’t be afraid to visit the customer service desk. Participating promotion items usually have a special marking on the receipt and they can usually easily figure out why your deal didn’t work out as planned. Sometimes it also might be something as simple as a catalina machine that is not working. If you bought an item that did not count toward a specific promotion, if you ask, they will usually let you return the item that did not work and exchange it for the appropriate item. If you are trying to use your coupons correctly and the cashier and/or store manager refuse to work with you, it’s OK to walk away. You can try to visit the store at another time or visit another store in the area. Be sure to contact the store’s corporate customer service department to share the “issues” you had. Do you have any other tips to share for dealing with coupon trips gone wrong? Have you had problems using coupons at your local stores since Extreme Couponing began airing? *This post may contain affiliate links! Please refer to my disclosure policy for additional information! Couponing A to Z: Are Coupon Clipping Services “worth it”? In my weekly match-up posts, I frequently reference coupon clipping services. I have had several people ask me about why I “pay money” to buy coupons. To them, it seems counterproductive. I can understand why, on the surface, it might seem that way, but actually using a coupon clipping service to stock up on “hot” coupons helps me to build my stockpile and save a LOT of money in the long run. For example, if I pay $1-2 for 10-20 coupons to get 10-20 items for free or close to free that are regularly priced at $1 each, I’m saving $8-10 and I won’t need to buy these items until they are on sale again! In most areas, a Sunday paper ranges from $2-$2.50 in price. You could buy multiple copies of the Sunday paper, but then you probably end up with a lot of coupons that you don’t need and a lot of extra work for yourself clipping all those coupons. Using a coupon clipping service saves time and is more cost effective for me. How do I know which coupons to stock up on? Typically, from my experience, if there are coupons in the Sunday inserts, a sale will follow. So, if there is a coupon in the Sunday paper for an item that your family uses regularly, it’s a good idea to purchase some extras. If there are “high dollar” or “free” coupons for items your family uses regularly, these are also great coupons to stock up on. Examples of recent coupons I have stocked up on include the $4 Gillette razor coupons..
How do I know which coupon clipping services are reliable? Word of mouth is a great resource! You want to look for coupon clipping services with a good track record overall and good turn around time. You may also want to consider location and factor that in to how long it might take to receive your coupons. *Collectable Coupons – There is a minimum purchase amount of $2.75 to place an order. 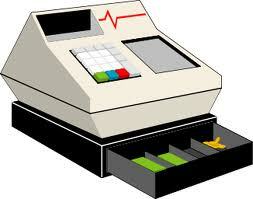 Turn around time is quick and prices are traditionally lower than some of the other coupon clipping services. *My Coupon Hunter ~ This is my favorite coupon clipping service. She has a subscription only service now – you can read more about that here. She ships from Florida. *The Coupon Clippers ~ This was the first coupon clipping service I ever used, but their prices tend to be higher than the other two services and there are minimum order requirements ($3.94 including shipping/handling), so I don’t order from them much anymore. She ships from Florida. How exactly do these coupon clipping services work? The services receive a large number of inserts each week and you pay them a small fee (usually $.05-.40 depending on the coupon) to collect and send the coupons to you. You go in and select the coupons you want, pay the shipping and handling fees, and your coupons arrive within a few days! It seems like the good coupons are always gone – Why can’t I find the coupons I want and need? Like everything else, there are “supply and demand” issues and if there are hot coupons, they usually go quickly. Most coupon clipping services post their coupons early on Saturday (and sometimes even on Friday night), so it’s good to learn when they post their coupons and place your order early to make sure you get what you want. The Sunday coupon preview is usually posted by Thursday or Friday, so you can also get a “heads up” on what coupons you want to get your hands on that week!